Westlake is committed to working together with you to ensure the safe storage, handling, distribution, use and disposal of chemical products. 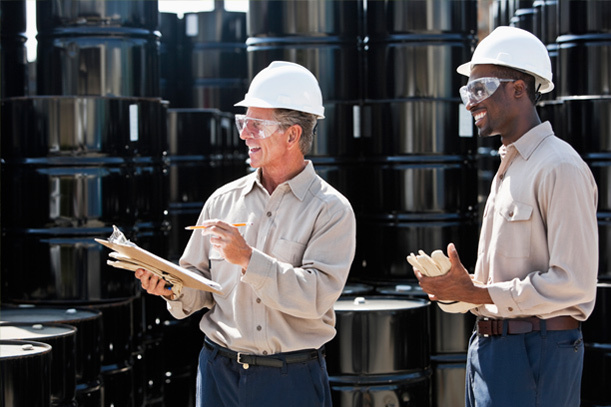 We encourage your review of current distribution practices, and we will support and assist you in identifying opportunities for improvements that will reduce risks associated with Westlake's distribution of chemical products to you. As your supplier, we strongly urge you to consult with us regarding any actions or assistance required. We pledge our support in helping you better understand our expectations of you as a valued distributor. We have developed the following general guidelines for distributors. This document outlines our commitment to and our expectations of you, our distributor. These guidelines are not intended to provide legal guidance regarding requirements and regulations that may apply to the distribution of chemicals. As part of his or her obligation, the distributor should obtain appropriate legal advice and counsel. Westlake will implement a distributor selection process which includes a review of environmental, health and safety performance and compliance. Westlake will provide information and guidance regarding Westlake's safety and handling procedures for products to distributors. This may include sponsoring seminars or other forums for communication of this information. Current Safety Data Sheets and other product literature will be provided by Westlake to the distributor on all products, in the local language where appropriate. Westlake will provide assistance to distributors, as may be appropriate, in determining relevant requirements for labels, packages, and product literature. Westlake and the distributor will develop lines of communication so that issues and questions regarding product stewardship can be appropriately addressed and feedback provided with respect to environmental, health and safety issues and compliance questions. Westlake will evaluate distributor compliance with applicable regulations and requirements through periodic assessments. These assessments may be carried out by means of self evaluations, on-site reviews, or other means. The distributor's labels and packages must meet all appropriate and relevant requirements. The distributor will have a program to train appropriate employees as to applicable environmental, health and safety procedures in the unloading, storage, transportation, and handling of Westlake products. The distributor will provide to its customers current safety information and SDS. The distributor will have a selection process for all of its carriers which ensures carrier compliance with applicable environmental, health and safety regulations, and review carrier compliance with applicable requirements on a regular basis and provide appropriate feedback to carrier. The distributor will have an appropriate emergency response plan in place. The distributor shall promptly notify Westlake of any distribution or transportation incident involving a Westlake product that affects, or potentially affects, environment, health and safety concerns. The distributor's agreements with Westlake will include an obligation to comply with all applicable environment, health and safety regulations.